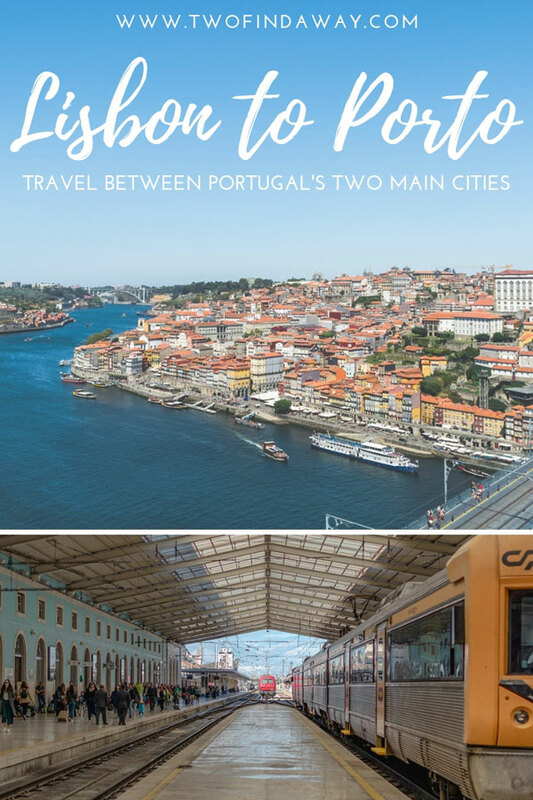 There are quite a few ways of getting from Lisbon to Porto, and vice versa, which might make you a bit confused about which one to choose. There are indeed plenty of options, and in this post you can find them all listed, so that you can opt for the one that makes the most sense to you. Below you can find information and the pros and cons of traveling by train, bus, plane, car, and car sharing. We also write about private transfers and the possibility of visiting either city as a day trip. 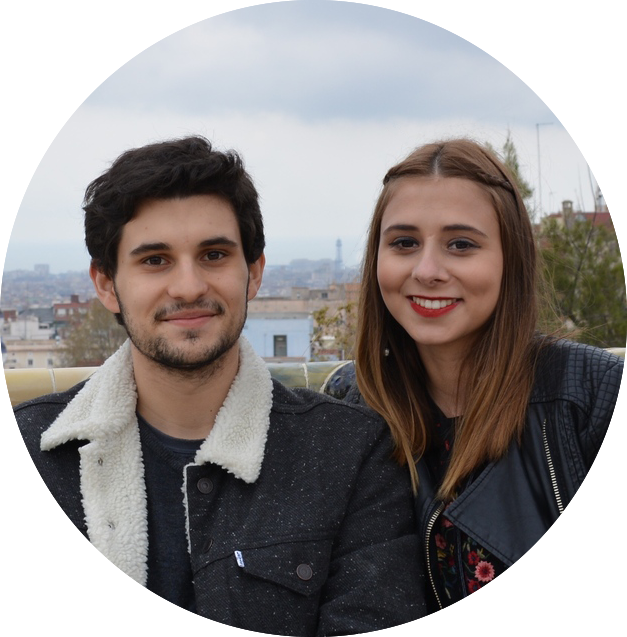 We were both born in Porto, but moved to Lisbon for University right after high-school. For years, we traveled the 300 miles that separate the two cities every month, so we’ve tried and tested most of the methods below. 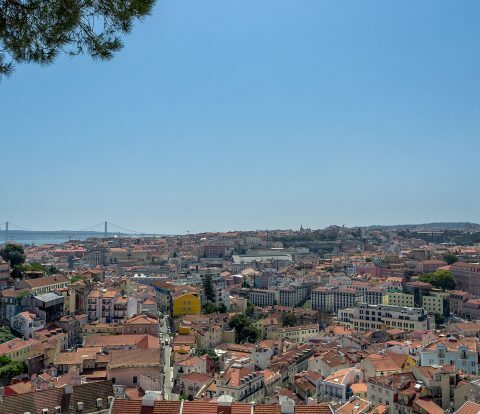 These are Portugal’s most famous cities, and home to some of the most beautiful viewpoints in the country, so you’ll definitely want to visit both Porto and Lisbon. 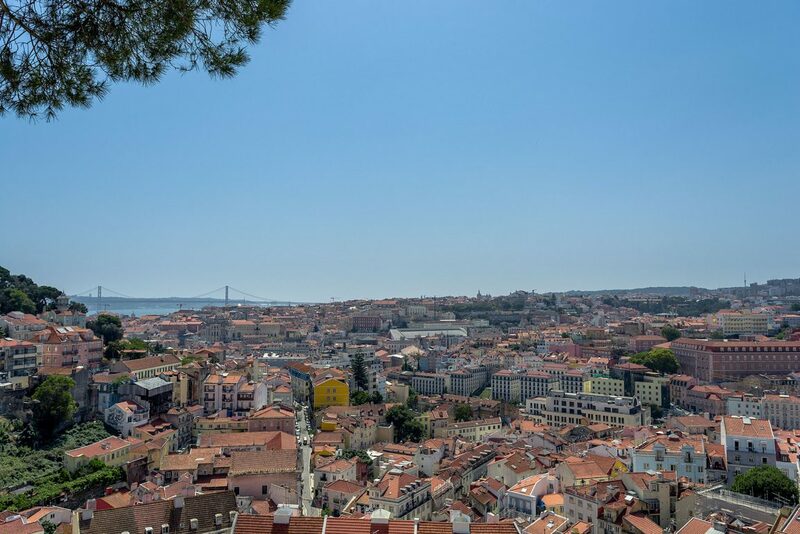 How to get from Lisbon to Porto: Which option to choose? 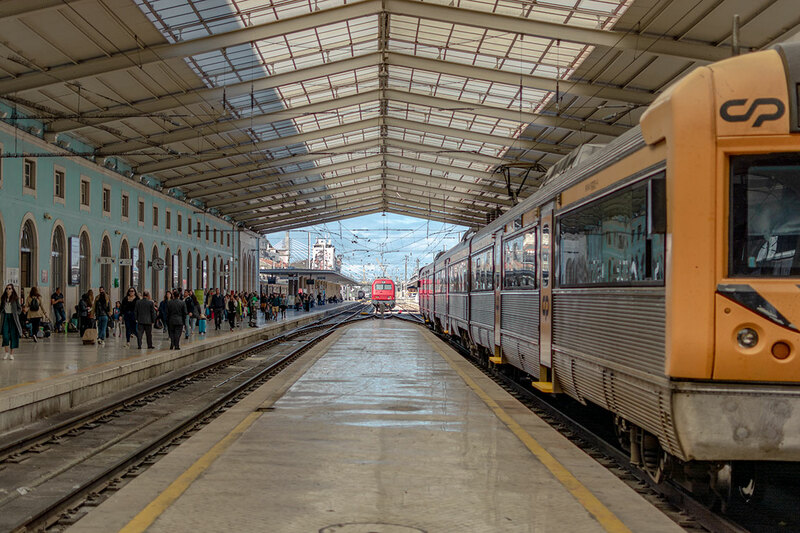 The history of rail transportation in Portugal dates back to the 19th century, and it remains to this day as one of the most used modes of transportation among locals, especially between cities near the coast. There are two options to go from Lisbon to Porto by train: the Intercidades (Intercity), or the Alfa Pendular. The first takes 3h15, whereas the Alfa Pendular is a faster train with fewer stops, saving you between 15 to 25 minutes. Trains are frequent but only run during the day. Supposedly, you can only travel with one suitcase, to add to your small hand luggage. However, this is not something that is regularly checked, unless there is a lack of space. Depending on the size of your suitcase, you can either store it on a shelf on the top of your seats or on assigned storage areas at the beginning of each carriage. If you store it away from you, don’t leave any valuables inside, and make sure to check regularly. Unfortunately, some robberies may occur, so it’s better to be safe than sorry. You can buy tickets at stations, or online through their website or app. For the Intercidades train, standard prices from Lisbon to Porto vary between 25€ (2nd class) and 37€ (1st class), one way. The Alfa Pendular is more expensive at 43,60€ for the 1st class, and 31,20€ for the 2nd class, one way. There are quite a few discount options, including some great ones if you are able to buy online in advance and during off-peak hours. If you’re under 25 like us, you’re entitled to a 25% discount. Seniors over 65 are eligible for a 50% discount. You just need to have your ID to show as proof of age. If you don’t qualify for any specific discount, be aware that you get 10% off if you purchase a return ticket. Discounts cannot be combined, so make sure to find the best one. Check all the available deals on CP’s website. 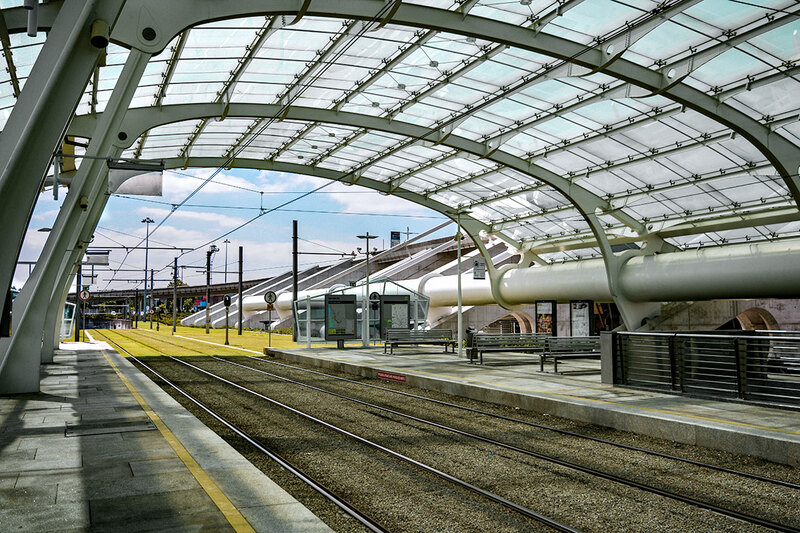 Lisbon has two stations for trains to and from Porto: Santa Apolónia, and Oriente. 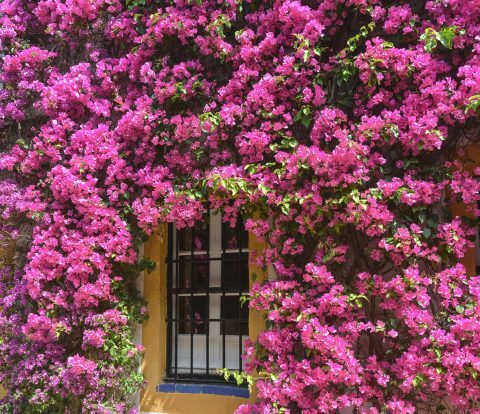 The most central option is Santa Apolónia, located in one of the city’s most historic neighborhoods and near the downtown area. Oriente is located in one of the city’s business centers, right by a bus station and a big shopping mall, which can be convenient. There are metro stations in both Santa Apolónia and Oriente so that you can easily move to other parts of the city. In Porto, trains to and from Lisbon depart from Campanhã, the city’s main train station. There’s a metro station on site, which will probably be handy as Campanhã is not located in the city center. 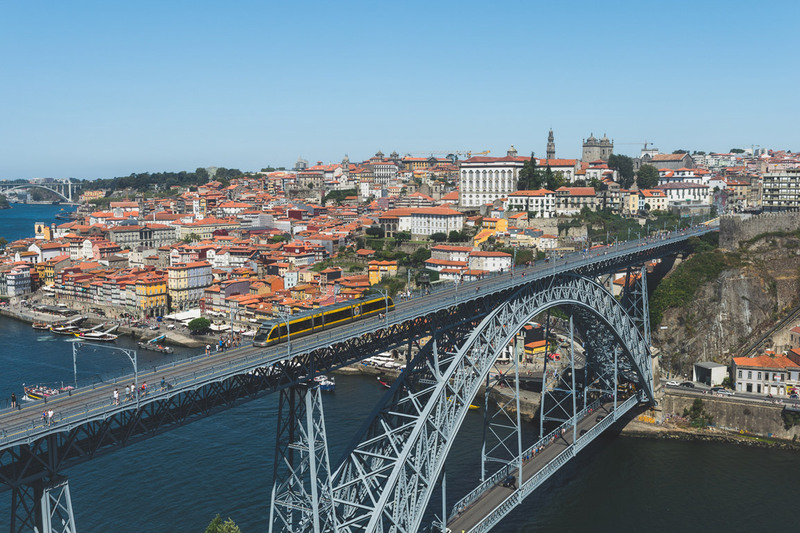 However, also know that your train ticket entitles you to a free urban train journey to (or from) São Bento, a train station located in Porto’s downtown area. Just make sure you choose “Porto-São Bento” and not “Porto-Campanhã” when purchasing your ticket. There is luggage storage available in all four train stations. Trains stand out for their comfort, as they are the most spacious means of transportation between Porto and Lisbon. There is a small cafeteria and bathrooms in both the Intercidades and the Alfa Pendular. Delays are frequent, and maintenance and cleaning of the inside of the carriages is sometimes deficient. There is nothing particularly special about traveling between these two cities by bus. 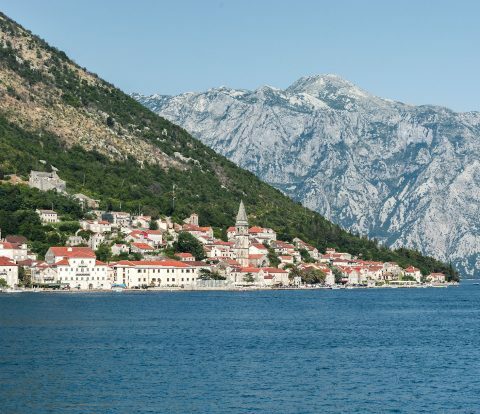 It’s exactly what you would expect from this type of trip in any other part of Europe. Buses are an efficient and affordable way to get from Lisbon to Porto, though certainly not the most scenic. Depending on the bus you select, the journey takes between 3h20m and 3h35m. Services available depend on the bus, but many don’t have bathrooms or electrical plugs. One thing to know is that on Portuguese buses, many people ignore their assigned seats. However, if you find someone sitting on your seat, you can easily ask them to move. As for luggage, you can take a bag with you up to 20kg for free to be stored away, and a piece of small hand luggage to take with you on the bus. If you want to carry a bicycle or a surfboard with you, you need to add it to your ticket in the time of purchase and pay an additional fee. You can buy your tickets at the stations or online, through their website or app. If you buy it online, a one-way ticket between the two cities costs 19€. There are a few discounts available, especially based on age. Discounts for young people go until 29 years-old, a bit more generous than for trains. To get discounts for buying in advance and during off-peak hours, you can adhere to the Rflex card. The process is easy and all done online, and can provide you with some great discounts. If you don’t qualify for any specific discount, be aware that you get 10% off if you purchase a return ticket. In Lisbon, there are two bus stations: Sete Rios and Oriente. Neither is particularly close to the downtown area, but both have metro stations (blue line in Sete Rios, and the red line in Oriente). Near the bus station in Oriente, there’s also a train station. Our recommendation is that you check the location of where you’re headed to (or from) in the city, and decide on what station is best suited for your case. In Porto, the bus terminal is located at Campo 24 de Agosto. It’s a few minutes away from the downtown area, so it’s likely that it’s walking distance from your accommodation, if it’s located in the city center. If not, there is also a metro station that can take you to the other parts of the city. 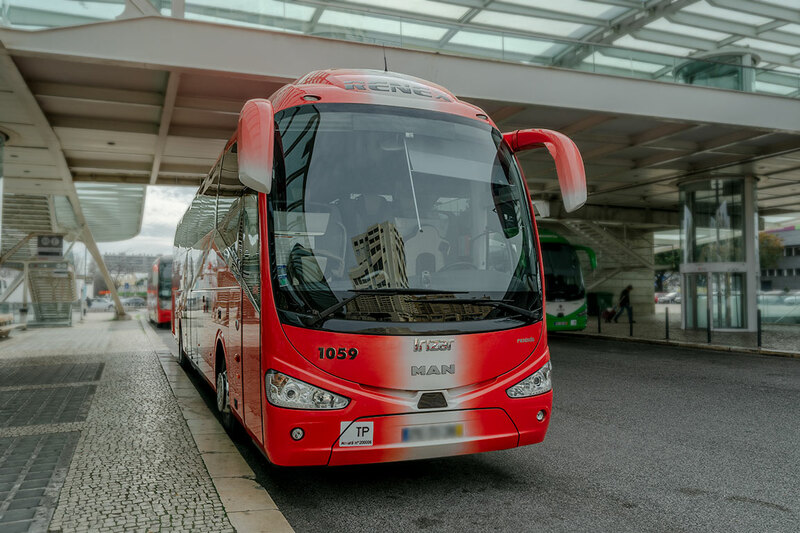 Price is the biggest advantage of using the bus to travel from Lisbon to Porto (or vice-versa), but there’s also the fact that connections are frequent and last through the night. Some delays are frequent, especially due to traffic. Also, most buses lack bathrooms, though they usually stop one time along the way (in Fátima) for around 10 minutes. A few years ago it would be completely unthinkable to travel between Porto and Lisbon by plane, unless it was for a very specific reason. Connections were few, and prices were very high when compared to other options. However, since Ryanair started offering this route in 2014, a lot has changed. Portugal’s own national carrier, TAP, increased the number of connections, at much lower prices, even including budget options similar to Ryanair. Even though we recognize some practical aspects regarding air-travel, it’s incredibly damaging to our planet, and mostly unnecessary between these two cities. However, we know it may be very practical if you’re traveling with children, or if you have some sort of disability that makes it uncomfortable to rely on the other options. Even though the travel time is very reduced when compared to the other means of transportation (taking less than 1 hour to travel between Porto and Lisbon), you do need to get to the airport with time to go through the security check. So, in the end, you probably won’t be saving a lot of time overall. Prices vary a lot depending on the time of your booking and the dates of travel. Also, be aware that you may need to pay extra for your luggage, so make sure to read information ahead so you don’t have to pay astonishing fees at the airport. Humberto Delgado Airport in Lisbon is located on the outskirts of the city, around 7km away from the city center, in the Olivais neighborhood. You can easily get there using the red metro line. The journey to Lisbon’s downtown takes approximately 20 minutes. There are also buses and shuttles available, but using the Metro is usually your best bet to avoid traffic. Francisco Sá Carneiro Airport in Porto is located 11km away from the city center. To get there your best option is to get the line E of the metro. The journey from Porto’s downtown takes about 30 minutes. Be aware that connections can be sparse (sometimes only two per hour) so check the schedule online to make sure you’ll get to the airport with plenty of time. If your flight is early in the morning or very late at night, chances are you won’t be able to rely on public transportation and instead will need to use a private transfer, taxi, or Uber. The biggest pro is the reduction of travel time by more than a third, when compared to other options. And the price, if you can find the ultimate deal! The best we’ve seen (though not normal) was 3€, one way. Crazy carbon emissions! We mentioned it before, but indeed the worst part of air travel is the terrible effect it has on the planet. However, traveling from Lisbon to Porto (or vice-versa) on a plane is not always a breeze. 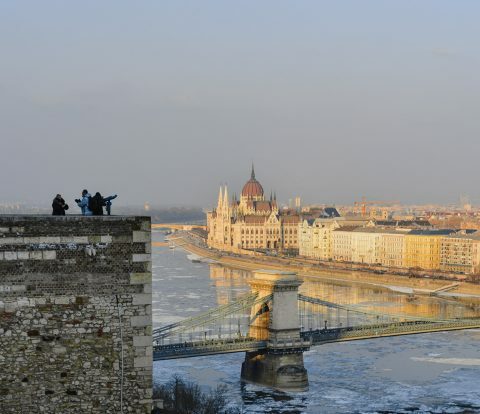 The airports are further away from the city center, and you need to make time for the security checks, which can take quite some time during peak hours (especially in the first morning planes). 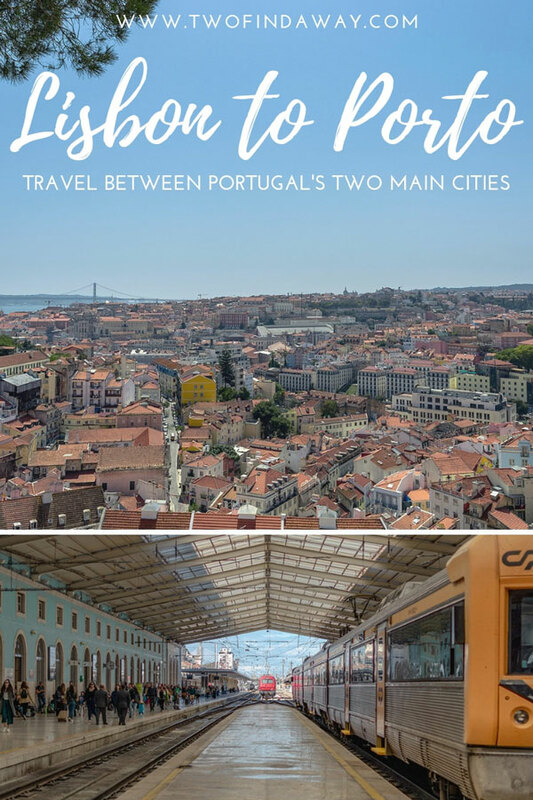 Portugal has some of the best highways in the world, so it’s easy to travel from Lisbon to Porto (and vice versa) by car. There is more than one way to travel between the two cities, but the trip usually takes around 3 hours, depending on traffic. If you’re looking for a rental, there are plenty of options available in both cities. If you want to avoid the tolls (which means you’ll have to avoid the highways), you’ll have to be willing to pay for it in the form of time. You’ll also be forced to spend more money on gas, unless you’re using an electric car. 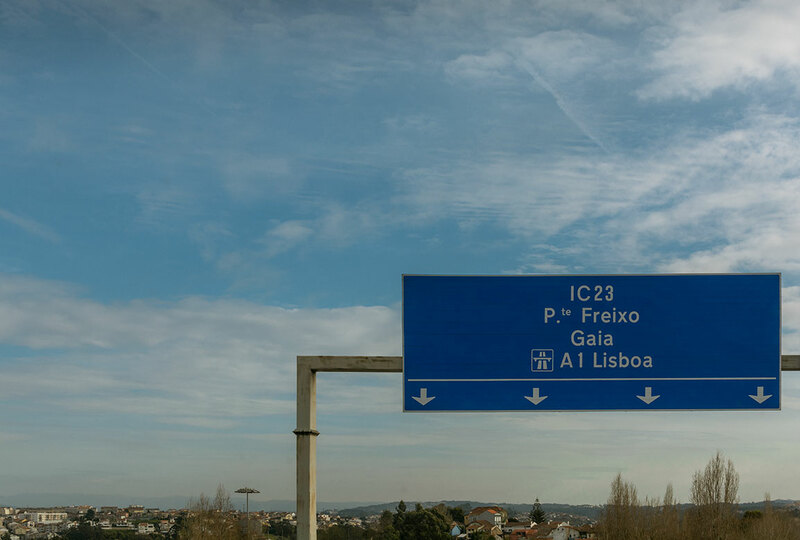 Getting from Porto to Lisbon using the national roads will take you at least 5 hours. If you do have the time, traveling through these roads makes it easier to turn the trip into a road trip, and you’ll have information on places worth stopping along the way through the road signs. We recommend you use the Via Michelin guide online to organize your trip. If you’re looking for a free GPS, use the Waze app along the way. Prices for gas and rental services vary widely. If you want to save money when filling your tank use apps such as a Waze to check the cheapest gas stations around you. Gas stations along highways are usually overpriced. If you are using the highways, toll prices vary between 20€ to 25€ depending on the roads you use. There are so many wonderful places between the two cities, that it’s impossible to list them all in this post. It really depends on what you’re looking for: traditional food, seaside delight, or historical architecture? Whatever the answer, there are plenty of options as you go from one city to the other. For food, most Portuguese people doing the trip stop at Mealhada, a city famous for their “sandes de leitão” (piglet sandwiches). If you’re looking for beautiful beaches, stop at Nazaré, famous for being the place where some of the biggest waves have been surfed. Even if you’re not into the sport itself, there are stunning views and delicious seafood to occupy you for a few hours. For historical architecture, stop at Óbidos, one of Portugal’s most stunning towns, known for its castle and fortified walls. 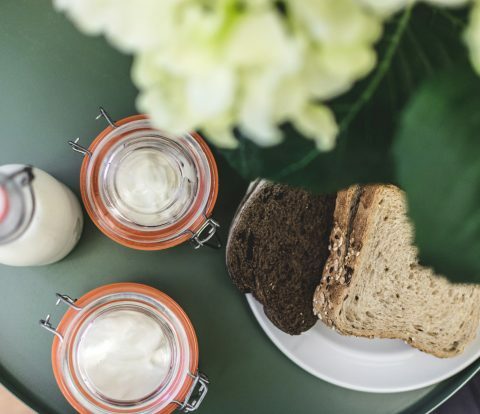 If you’re being practical and only want to stop for some rest or a coffee, there are a few “estações de serviço” (service areas), which are conveniently identified along the highways. We love a road trip, and if you have the time to stop along the way, the car can be a good option. The fact that you can set your own time and pace can also be a great advantage if you’re dependant on a specific schedule. Once again, we can’t ignore that this is not a kind thing to do to our planet, so we encourage you to try using greener alternatives. The price of driving between the two cities is also quite high when compared to other options, unless there are at least more than 2 passengers. In the last couple of years, carpooling between these two cities has become a more common practice. At first it happened mostly through Facebook groups created for the purpose, but more recently platforms such as BlaBlaCar have helped connect drivers with empty seats with people going in the same direction. We have personally never used this service, but there are plenty of people posting on the website for this route. You can check out the car model and a rating of the driver on the platform. Be aware that if you’re carrying a significant amount of luggage, it’s better to discuss it with the driver before booking. Prices are set by the driver, so they can vary a lot. The cheapest offer we’ve seen was 14,5€ per person, and the most expensive 25€. For most people who use this service, the biggest pro is the price. However, it can also be very convenient if you’re looking to travel at a time in which public transportation isn’t really an option. It can also be a fun way to meet new people. Finding a good driver for your the exact date and time you’re looking for can be a matter of luck. Also, make sure you check the rules provided by each driver so that you don’t have any unwanted surprises. We’ve never used private transfers to travel between Lisbon and Porto. However, after a small Google search, we can see that there are plenty of options available. We usually only use private transfers when the public transportation options are lacking, but they certainly aren’t between these two cities. You may, however, want to choose to rely on one for comfort reasons, but just be aware that you’ll be investing a lot more money to get from one city to the other. Even though these transfers can be practical for a number of reasons, the duration is always around 3 hours, as there’s really no (legal) way to make the trip faster by car. 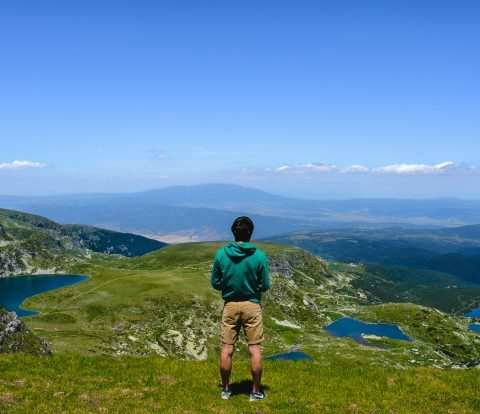 Prices vary widely depending on what exactly you’re searching for, and how many people are traveling with you. Is it possible to visit Porto as a day trip from Lisbon? The short answer is yes, and it’s also applicable the other way around, of course. However, it’s not something we particularly recommend. Getting from one city to the other will take you at least 3 hours, so you really won’t have much time to explore. If it’s your only option, then we don’t want to discourage you, and the upside is that in the Summertime there’s plenty of daylight. Also, as you can see from this post, there are plenty of transportation options, some of which leave you right in the downtown of the city. Some of the private transfers mentioned above also offer day trip packages between the two cities. However, we want you to know that there are also great (and shorter) day trips to do both from Porto and from Lisbon, so also consider them. The best choice truly depends on your own priority. Price-wise, the bus is probably your best bet. If you’re not entitled to any discounts, car sharing can also be one of the most affordable options. In case you’re hoping to use the trip time to work and enjoy the views, the train is most likely what you’re looking for. This post is the result of 7 years of research, and constant trips from Porto to Lisbon, and Lisbon to Porto. 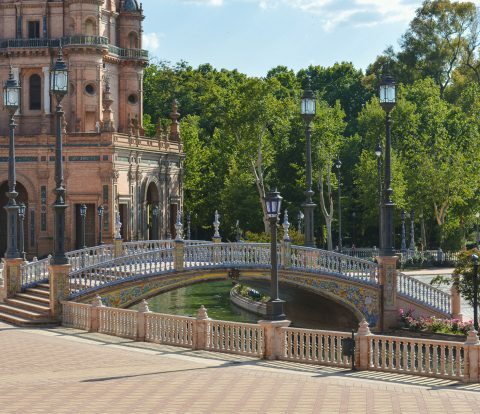 We hope you can find all the information you need to choose the best way to travel between these two amazing cities right here. If you have any questions or advice, share them on the comments below.